H+R’s media profile increased again in the month with a feature on the BBC ‘The One Show’ focusing on the fire damaged Glasgow School of Art and our involvement. H+R’s project workload in the month has been fairly typical with the usual wide range of fascinating buildings to investigate all over the country. In particular, Local Authorities and institutions are increasingly turning to H+R recognising the ‘value-added’ that H+R’s investigative consultancy invariably provides. 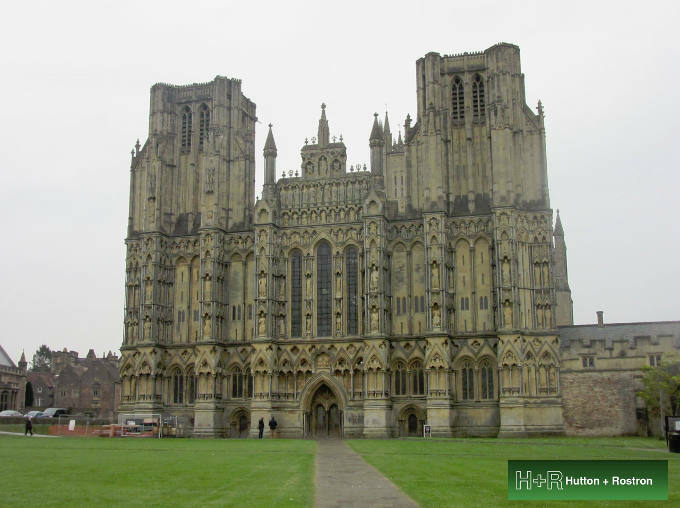 H+R have been fortunate to undertake difficult access surveys to the nave roof at the Grade I Wells Cathedral and the Grade 1 listed Brighton Dome and Curzon Street Station in Birmingham. Buildings have ranged in size from St George’s Town Hall in Cable Street, London to the charming Cranford Lock Up in Hounslow. H+R have also provided the usual specialist support to loss adjustors and insurers, often on contemporary buildings suffering the effects of poor design and workmanship – notably on a project in St Ives. H+R are pleased to have been appointed on an extensive scope of work at 112 Eaton Square which was once the last complete house in the square owned by an English family.